If you are experiencing ugly patches surrounding your fingers or skin and the irritation associated with them, then you must not be smiling right now. It is a terribly awkward feeling that you would want to find out how to get rid of ringworm. 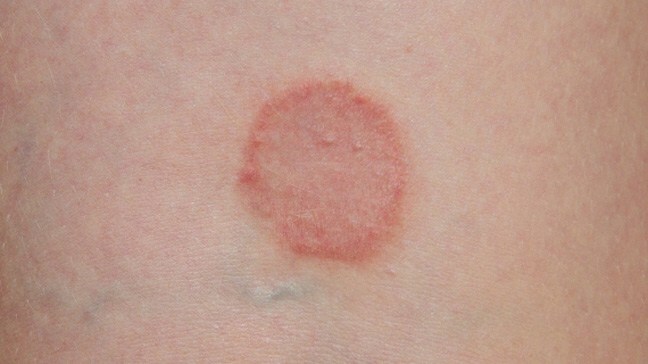 Ringworm is associated with names such as athlete’s foot or jock itch. Have You Ever Heard Any Myths About Ringworms? - "Most people believe that ringworm is caused by a warm." This sounds funny and might be due to the creepy crawly name. - "Ringworm affects the skin alone." People think that Ringworm is a skin infection and doesn’t affect other areas of the body. However, this is not true because toenails and fingernails get affected too. 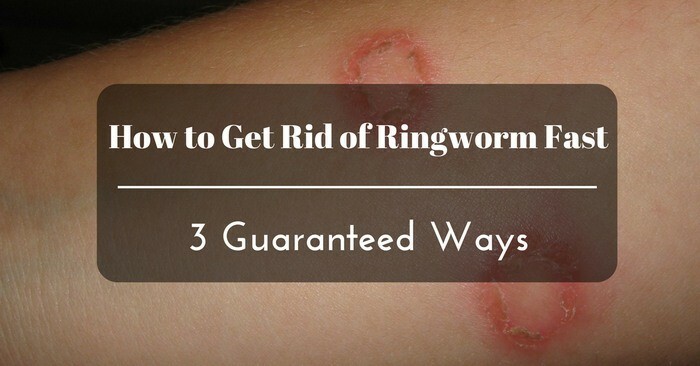 - "Ringworm causes red rings on the skin on everyone affected". Even though you might develop a scaly red ring on your skin if you have ringworm, not everyone can experience that symptom. It can occur on your scalp or nails but can’t form such a shape. - "Children are the only people who can get ringworm". 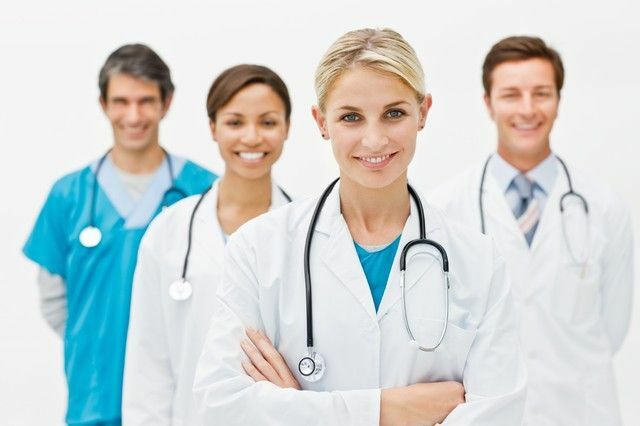 It is true that most children get different types of ringworms. However, that doesn’t mean that they are the only ones who can get infected with the fungus that causes ringworm. It is so unfortunate to say that the reverse of this is true. Ringworm is a disease that easily spreads from one person to another. Sometimes you don’t have to touch an infected person to get it. Even swimming at the same swimming pool with an infected person could make you sick. What Is Ringworm And How Does It Look Like? Ringworm is not a worm as many people may think. It is an infection of the skin caused by a fungal family called dermatophytes that resembles a mold and lives in your skin’s, hair’s or nail’s tissues. It can be called athlete’s foot if it occurs between your toes. It can also be called jock itch if it occurs in your groin. Ringworm appears as red patches on the skin, and the center is always bright or scaling of a scalp. Doctors named it ringworm because they once thought that it was caused by parasitic worms. A circular patch of a rash usually forms on the affected area of your skin. Ringworm may take a few days to several years to disappear from your skin, depending on how you treat it. If you don’t deal with it, it may take a few months to several years before its symptoms vanish. If you use the right medication to treat ringworm, it will quickly disappear. It may take a few days or weeks. To get rid of fungi and avoid infection again, you need to keep on applying treatment for 2 to 4 weeks. Even if the symptoms of ring-warm disappear after using medication, you still need to use the treatment for 2-4 weeks for the fungi or bacteria causing it to fade away. What Are The Long-term Effects Of Untreated Ringworm? The presence of ringworm might lead to long-term effects. Some effects may occur immediately, while others may take time and have a long-lasting impact. Here are those effects. 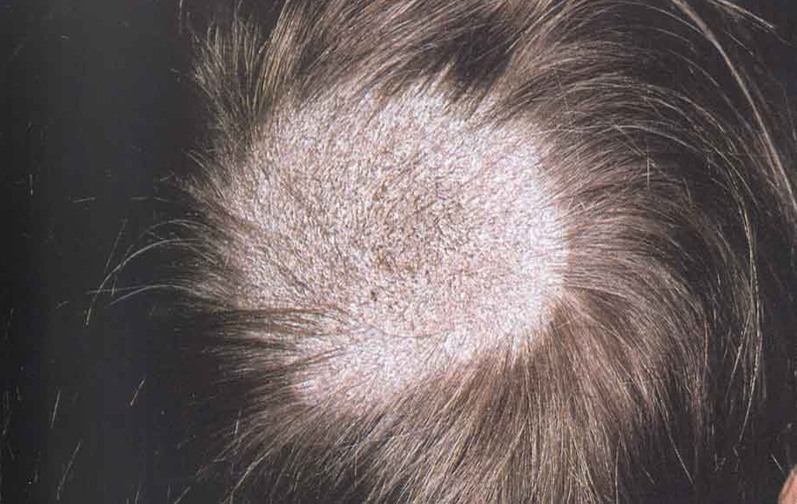 It forms a rush on your scalp mostly circular in shape which becomes significant in size over time. Hair within that patch quickly breaks off. Sharing of hair clips and brushes with an infected person can result in infection. 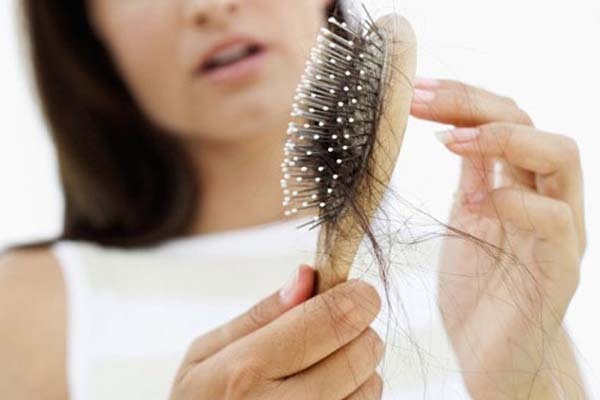 According to studies, Kerion is a scary condition that can lead to permanent hair loss. It is a complication that occurs when the fungi infect the skin on a deeper level. The scalp then appears spongy and develops a cavity filled with pus. Sometimes small pimples might appear in that area. It is an irritating condition. If a kerion bursts, pus might drain out of the spot. Nail deformity occurs when dermatophytes penetrate your skin’s protective barriers. They can infect your nails or the skin around your nails when they access them. This infection is called tinea unguim or onychomycosis. 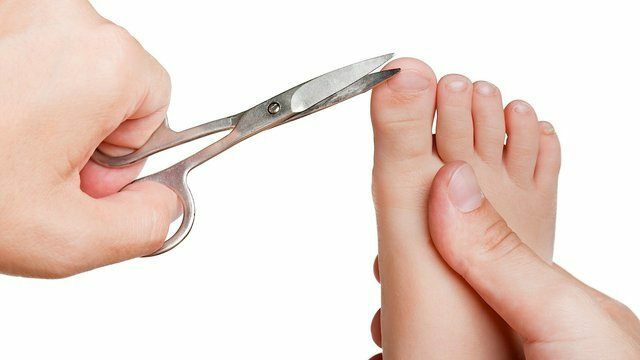 According to reports made by Merk Manuals, approximately 10% of people will have onychomycosis. Sometimes it causes discolored nails but on rare occasions. Ringworm causes rashes. Bacteria can access your body through the small tears caused by ringworm infection. The Medline Plus reports that the common symptoms of cellulitis are tenderness, pain, and fever. In severe cases, you can experience gangrene, bone infection or meningitis. Can You Get Rid Of Ringworms At Home? First of all, ringworm has different treatments. They might be systematic treatments or topical treatments. Topical treatment is whereby you apply antifungal or antibacterial creams on the affected areas of your skin. Under topical therapies, we have homemade pastes that you can make and use them for quick relief. On the other hand, systematic treatments refer to medications taken orally over a three month period. Using available organic plants to make a treatment of ringworm sounds too good to be real, but it works. There are many ways of getting rid of ringworm at home. You will need the following things to make a home-made ringworm treatment. You can either use mustard seed powder or turmeric roots to make a home-made treatment. Take two teaspoons of mustard seed powder. Add a little water and mix to make a thick paste. Apply the paste to the affected area of your skin. Mustard seed is an effective fungal infection solution. It has anti-fungal properties which can eliminate the toughest form of ring-warm. Apply this paste until the infection clears. Put a half cup of freshly chopped turmeric root in a blender. Apply the paste on the affected area use it until it heals. Did you know that Turmeric has amazing anti-fungal and antibacterial properties that destroy all types of fungi? Use it and experience healing on your skin. Avoid sharing bed sheets or clothes with an infected person. Turmeric has remarkable antifungal and antibacterial properties which destroy all kind of fungi. You should also wash your bed sheets and clothes frequently. If you have ringworm, don’t scratch or touch the areas affected. As mentioned earlier you can treat ringworm medically or use the home-made remedy. On medical treatments, you can use creams and ointment like Wonder Balm. 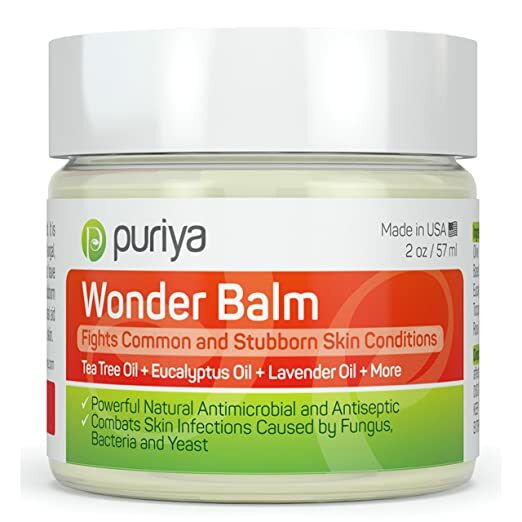 Wonder Balm stops all the irritation and itching. Moreover, it prevents the rashes from spreading. It has antimicrobial and antifungal properties which control inflammation and itching on your affected area which is the first step to recovery. Before using this cream, check its label to confirm that you aren’t allergic to any of its ingredients. You can then perform a two-step skin test if you feel you can use it comfortably. If it is a topical product, test it first in a small area of your healthy skin. If you don’t see any reaction, test it on a small place of the affected area before applying on a large area. In a case of irritation, stop using it immediately. It is also meant for external use only. Ringworms cause discomfort in the body. The worst thing about them is that they can spread and cause more irritation on other parts of your body. 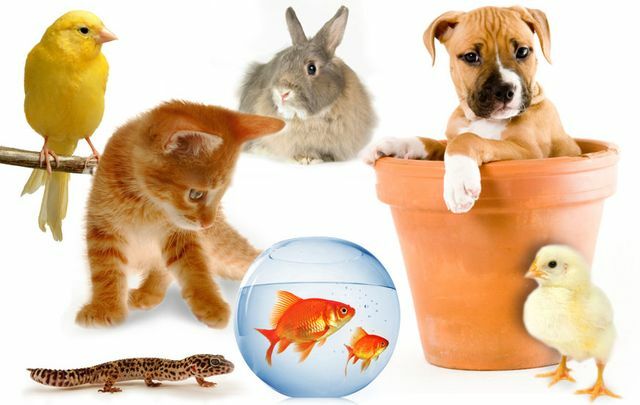 You can treat them using anti-fungal medicine like the ones mentioned above. You can also try the home made method of using turmeric or mustard seed as indicated above. Treat it as soon as you see the above symptoms to avoid spreading to other people or other parts of your body. If you are using topical anti-fungal medicine, rub it on the infected area three times per day for 2-4 weeks. Make sure that you clean any washable accessories that you use on your hair frequently. Your clothes and bed sheets should be kept clean always. Don’t share personal accessories or clothes with an infected person. If you try using the above methods of treatments with no change, seek medical advice from a physician. A doctor can test the dermatophyte causing the ringworm and recommend a stronger oral anti-fungal. Make sure you follow the instructions. Sometimes you might experience improvement after taking medicine. However, that does not mean that you are completely healed. Take the whole dose of medication as directed so that you can get rid of all the infection. If you fail to do so, the infection might occur again. If you have ringworm, avoid wearing wet shoes or socks for a long time. You should also evade walking barefooted near public bathrooms or swimming pools. Ringworms easily spread infections in moist places. Get rid of tight sportswear and any sweaty gym apparel to avoid athlete's foot. You should wash all your used clothing with warm or hot water to kill fungal spores. Personal items such as towels, combs, bed sheets, brushes, etc., should not be shared with other people. Always wash your hands carefully. The easiest way to stop the spread of ringworms is to have short nails. Don’t be tempted to use anti-fungal nail varnish/lotion to prevent the spreading of ringworm. A child infected with ringworm should not interact with other children whether in school, day care or any other place. You can also cover that rash with a cloth to avoid the child from touching it. Don’t let the baby swim in a public swimming pool until the treatment is over. Did you know that animals infected with ringworm can infect human beings too? If children touch infected pets and fail to wash their hands, they might be infected too. Most wrestlers are also at a high risk of getting ringworms. When fighting, they get in touch with one another. However, to avoid the spread of ringworms among wrestler, it would be good to take a shower after wrestling. With the above tips, you are likely to avoid ringworm and live without fears. However, if ringworm persists even after treatment, you need to seek medical advice from a doctor. Ringworm is a contagious disease that should never be ignored. It spreads quickly and can lead to severe side effects such as permanent hair loss, nail deformity and other ugly conditions that you wouldn’t want to imagine. However, how to get rid of ringworm can be achieved in three ways. You can use homemade remedies, seek medical attention and finally, prevent it from spreading as discussed. Did you enjoy the topic? Feel free to share it with your friends and comment below. I'm Lana, founder of Smart Health Kick. This is my blog was founded in November 2015 and Smart Health Kick dedicated to natural beauty, organic lifestyle, health, fitness, nutrition. I’ve furthered my knowledge so much on all areas of my blog, and hope that you enjoy reading the content just as much as I enjoy creating it!